Be the Therapist that you want to be. Doing the Therapy you love with the support you need. Working with children and families in their own homes. 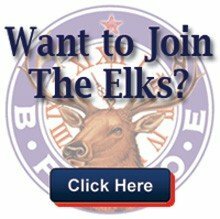 The California-Hawaii Elks Major Project is a non-profit organization that has provided Occupational Therapy, Physical Therapy and Speech Language Therapy services for children since 1950. There is no charge for services. The program is funded entirely by the generous donations of members and friends of the California-Hawaii Elks Association. The Major Project is searching for therapists who enjoy working with children and their parents. The position is a full time salaried position. The therapist will maintain an office in their home and travel to the children’s homes to provide therapy. Location: Where there is a need. Use of a company vehicle. Gasoline and maintenance expenses are reimbursed. Paid vacation days, holidays, sick days, and education days. Medical, dental, vision, malpractice and life/long-term disability insurance coverage. I worked in santa clara county in the 60’s as a speech pathologist. What areas are the therapist serving now? Are there any CHEA therapists for the Big Island of Hawaii presently?